This week's song is the theme of an artist whose name some of you probably haven't heard before. Let's listen to the song and then learn more about Charlie Spivak. 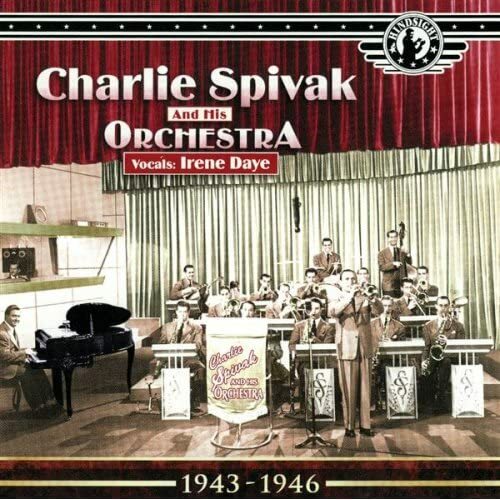 Charlie Spivak (February 17, 1907 – March 1, 1982) was an American trumpeter and bandleader with Ukrainian roots. Despite coming up in the jazz world and spending his life around jazz musicians, Charlie Spivak rarely improvised and was most notable for his pretty tone. He moved to the U.S. with his family as a small child and grew up in New Haven, CT. Spivak began playing trumpet when he was ten, gigged locally as a teenager, and worked with Don Cavallaro's Orchestra. During most of 1924-1930 he was with Paul Specht's Orchestra, primarily playing section parts where his tone was an asset. Spivak was cast in the same role with Ben Pollack (1931-1934), the Dorsey Brothers (1934-1935), and Ray Noble. He worked in the studios during most of 1936-1937 and then had stints with the orchestras of Bob Crosby, Tommy Dorsey, and Jack Teagarden. Spivak formed his own band in November 1939 (financed by Glenn Miller) and, although his first orchestra failed within a year, his second attempt shortly after was more successful; in fact, Spivak became a major attraction throughout the '40s and he kept his band together until 1959. Spivak lived in later years in Florida, Las Vegas, and South Carolina, putting together orchestras on a part-time basis, staying semi-active up until his death at the age of 75.